Visit the ASL Bible Puddle! Ed, from Michigan, explains that he is born-Deaf. it a little, and over time he started to understand it . of the Bible that is written in ASL. Sign languages are rich languages with sophisticated grammars and large vocabularies. There are hundreds of sign languages in the world, and all of them can be written with the SignWriting script, since SignWriting writes body movement. American Sign Language (ASL) is one of the most used languages in the United States and English-speaking Canada. 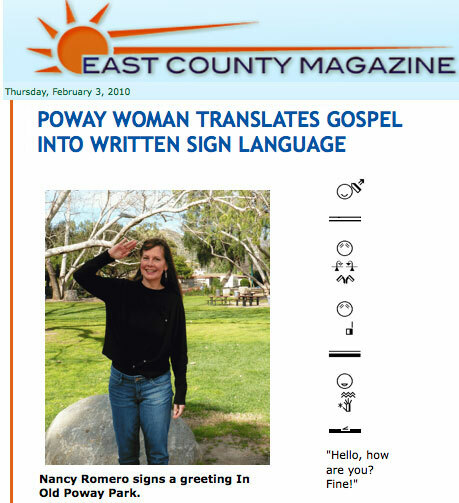 Nancy Romero, an ASL interpreter and skilled SignWriter, has taken on the large task of translating the entire New Testament into ASL, based on the New Living Translation (NLT). 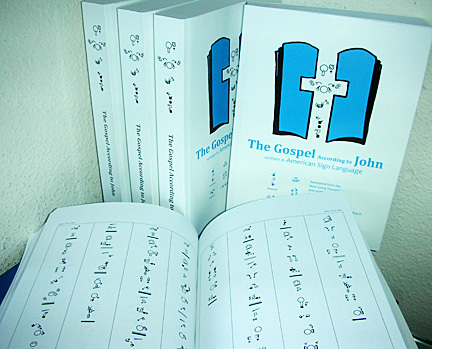 The complete Gospel According to John, Gospel According to Matthew, and the Book of Romans are already written in ASL and available online. With funding, books will be printed and donated to Deaf congregations. The Center for Sutton Movement Writing is a 501c3 educational non-profit organization that is sponsoring the Written ASL Bible Project. 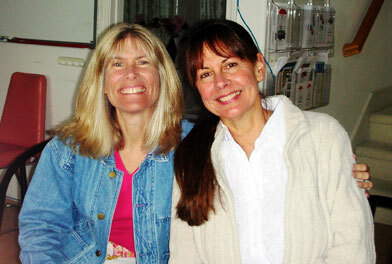 with Deaf ASL editor Lucinda O'Grady Batch.